Plot Device is the coolest short since the Movie Title trailer. Hey guys Javi checking in during a much deserved study break. I stumbled on this thanks to the very handsome @T16Skyhopp over on Twitter who linked it back to this io9 page. It follows a young kid that finds the true power of the almighty Plot Device through a series of wacky scenarios. This is yet another example of how technology is helping younger filmmakers and smaller companies do quality work without studio backing. Plus, I love anything that satirizes movie tropes. In a few short weeks, one of the most successful franchises in movie history will come to a close. 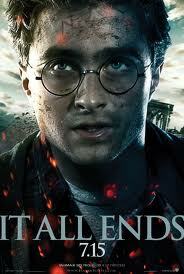 As it's predecessors before, HARRY POTTER AND THE DEATHLY HALLOWS PART 2 will make a crap ton of money worldwide. But I'm not here to talk about the obvious success the movie will have. This movie will be a bitter-sweet moment for millions of fans worldwide...including this fan. It's ending, for real, which is an almost impossible concept to wrap my mind around. One of our favorite shows here at WDYMS on TV right now is BREAKING BAD. It follows a high school science teacher who turns to making meth with a former student in order to make some money. Through three seasons we've followed Walter (Emmy winning Bryan Cranson) and Jesse (Emmy winning Aaron Paul) as they have tried to climb the drug trafficking ladder, while Walt fights cancer and keeping his personal life separate. AMC has posted a preview for the upcoming season 4, which by the looks of it, will be just as heart-racing and badass as all the previous seasons. When I say this is one of the best shows on TV, I'm not exaggerating. Do yourself a favor and Netflix the previous seasons, all of which have no more than 13 episodes, and get caught up. You won't regret it. July 17th cannot come fast enough! Hey guys, Jonesy here with some childhood memories for everyone. In a themed Netflix Edition this week, here are a few of my favorites from my childhood before the world of reality tv, the Disney Channel, and Sponge Bob (sorry I will never understand the appeal of that cartoon). Everyone had their favorite color, mine was totally Pink, and all my friends and I loved watching our Rangers everyday as they try to defeat Rita Repulsa. I was also so curious how these teenagers balanced fighting aliens and going to school, but some mysteries will never be answered. This was part of the really cool "after hours" of Nickelodeon called "Snick". It was four extra hours of cartoons and variety shows. RUGRATS was my favorite cartoon because it brought us insight to how babies communicated with each other. Maybe that's a little too deep...and they were just super cute and never aged. 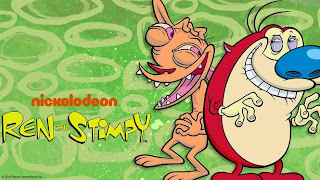 Thinking back on this series, I don't know how in the world this made it onto Nickelodeon's line up. Crude, weird, and completely fits for late night Cartoon Network or Comedy Central, REN AND STIMPY follows our favorite cat and dog on their wild and very odd adventures, almost the kid's version of Beavis and Butthead. The Official Muppet Movie Trailer! Here's your daily dose of awesomeness. After a few teaser trailers, the official trailer for the upcoming Muppet Movie has been released. Get your childhood memories ready because it's probably one of the most endearing trailers I've seen this year. THE MUPPETS opens November 23, 2011 starring Jason Segal, Amy Adams, and our favorite muppet friends. Jonesy here this week again with a classic, a remake of a classic, and an awesome TV series. The 70s cult classic which has a notable midnight following. Now is your chance to see it for yourself, so you can be "in the know" when you dress up in your best transvestite outfit to an interactive showing, and you're not the only person who doesn't know the Time Warp. The remake of the 1973 horror movie, THE CRAZIES tells of a plane crash in a small town that releases a chemical that starts, well, "changing" the locals. 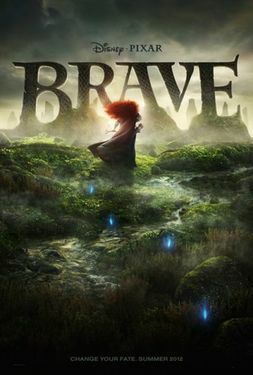 When I saw this a couple years ago, I was surprised how solid the film was. Remakes of horror movies usually have a stigma, but THE CRAZIES surpasses that stigma. A current series on The History Channel, GANGLAND takes a look at current gangs in today's world. Focusing on a different gang, including Hell's Angels and Latin Kings, every episode, the series has some unprecedented access and interviews to members and authority figures that paint a frightening picture of how many gangs have evolved and survived. 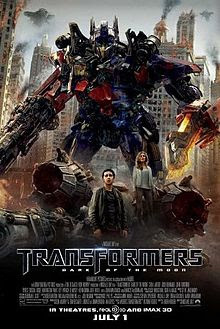 During each of the years that a movie has come out, Botcon goers have been privy to exclusive first looks at the movie. In 2007, they were the first audience to see the completed movie, and in 2009, there was a clip, and this year during the second annual Hall of Fame Event, which took place on June 4, we knew that Steven Spielberg and Michael Bay would be inducted, and that we would be receiving the new Cinemasks for the occasion (for those wondering, I got the Optimus). So it felt very obvious that we would be at least getting a clip of the movie. There were suits, a VIP section, and even Tyrese "Left Cheek" Gibson showed up, so the buzz in the room was pretty high with anticipation. Synopsis: After witnessing a train crash, a group of friends begin investigating weird happenings in their small Ohio town. SUPER 8 is not your standard summer popcorn movie, monster movie, scary movie..actually it's not like most movies released nowadays. It's big in scope, yet still feels intimate and heartfelt. On the heels of Spielberg's legacy, director J.J. Abrams has taken his reigns as an engaging storyteller and a director with a clear vision and proves once again his ability to make the supernatural feel natural, while becoming a master of the craft, lens glare and all. Netflix Instant Cool TV and Movie Picks: The Good, The Awesome, and the What? In one of my favorite Kevin Smith movies, Ben Affleck stars as comic book artist, Holden, as he tries to start a relationship with lesbian Alyssa, played by Joey Lauren Adams. There are some fun bits with memorable View Askew characters like Jay and Silent Bob, and this is one of the more heart-felt films that Smith has put out. Tarantino's brilliant film about a boxer, some hit men, a boss and his wife. Intertwined characters coupled with a non-linear storytelling makes this one of those "movies you must see in your lifetime." We recently reviewed PULP FICTION as a part of our AFI Top 100 Countdown, and you can check out our conversation here! A have a weird obsessive love for dance movies. They're all pretty predictable and awful, yet I cannot help myself. I'm a sucker for that kind of punishment. STEP-UP 3 is the latest in the franchise, and while the first two are not on instant, fear not! You don't need to see them to appreciate the pure cheese of this one. The acting is equivalent to most high schools, the story is one-note, but the dancing mesmerizing and fun. Also, if you don't fall in love with Moose, you just don't have a soul. Hell Yea for the Day: TUCKER & DALE VS EVIL gets a distributor! The great thing about film festivals is sometimes you get these little gems-of-a-movie hidden in a midnight showing. The bad thing about film festivals is sometimes these movies, which you think are brilliant/funny/etc., get lost in distribution limbo and never make it to the screen. Not this time! Directed by Eli Craig and starring Alan Tudyk (Serenity), Tyler Labine (Reaper) and Katrina Bowden (30 Rock), TUCKER & DALE VS EVIL is a hilariously gory, good-spirited horror comedy, doing for killer rednecks what Shaun of the Dead did for zombies. Tucker and Dale are two best friends on vacation at their dilapidated Appalachian mountain cabin, who are mistaken for murderous backwoods hillbillies by a group of obnoxious, preppy college kids. When one of the students gets separated from her friends, the boys try to lend a hand, but as the misunderstanding grows, so does the body count. TUCKER & DALE was one of my favorites from 2010's Dallas International Film Festival. It's a side-splitting horror-comedy with a fun take on the hillbilly-killer plot line. Almost like the backwoods cousin to ZOMBIELAND. I love this new horror-comedy genre that has been emerging over the past few years, and I'm stoked that more people will be able to experience this movie. 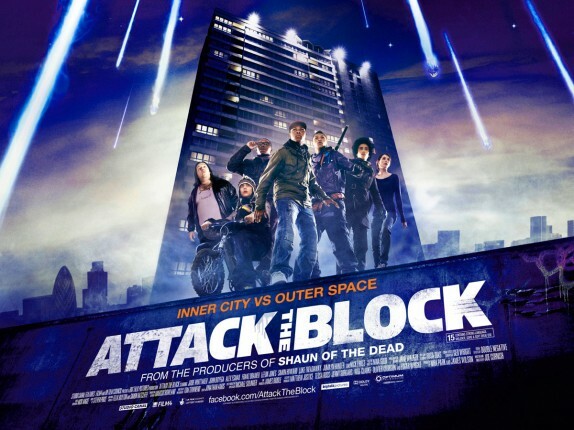 Synopsis: A gang of South London youth decide to defend and save their block from an alien invasion. The lovely new star of FULL SEQUENCE. Doesn't he look charming? Last year, Tom Six's THE HUMAN CENTIPEDE: FIRST SEQUENCE made its way around the indie-film circuit. The film's plot of an insane scientist who creates a human centipede by sewing his unwilling victims from mouth to end steamrolled amongst the horror crazed movie goers. It almost became a challenge of who had the endurance to go watch. We here at WDYMS took the challenge, and honestly, we were a let down. Maybe that says something about us, but I say it says something about the end result of the movie. Now, the idea of the movie sounds gruesome and horrendous; however, for supposedly "pushing the envelope", the movie was a lot less graphic than I had imagined. However, the first movie gathered enough clout from the semi-cult following that the director is made a sequel which he promised to be even more gruesome and "involves a centipede made from sixty-four people.. and will have the tag-line "100% medically inaccurate". Six has stated that with the first film having desensitized audiences to the idea of a human centipede with FIRST SEQUENCE being "My Little Pony" compared with part two. Pictured above: not me. I'm not a girl. Hey cats and kittens, Javi here, just wanting to let all of the millions of fans we have out there on the interwebs that I'll be temporarily discounting my magical words here until at least late July. You see, I got a big kid job with a rather stressful test that I need to pass in order to continue. So unfortunately, I'll be less available to talk about Transformers, geek movies, and other such awesome stuff. I'll try to make it to screenings as much as I can, but Jonesy will be running this show for a while. Trust me when I say, I want to continue, but it's just not possible right now. To show you how committed I am, I'm freaking studying for said test during this vacation as we speak. In the meanwhile, if anyone wants to contribute posts to us or ideas, drop us a line to our email. 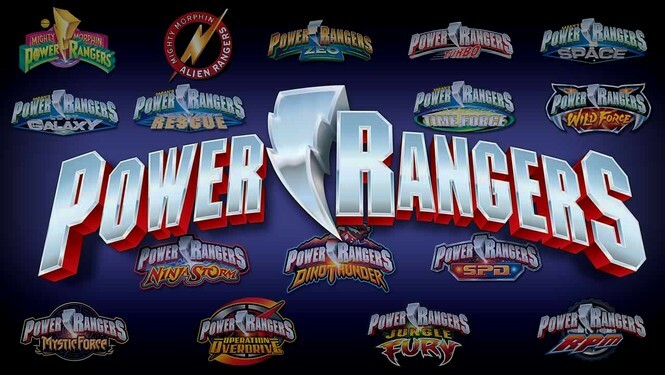 Don't think for a second I won't be here for GL and TRANSFORMERS: DARK OF THE MOON though! Until then, enjoy and love Jonesy as she deserves. This will no doubt be one of the biggest hits of the Christmas season and the year. The first book sold 30 million copies worldwide and has been one of the "must-reads" for the past couple of years. 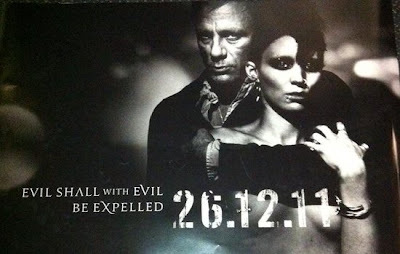 Synopsis: An investigative journalist, Mikael Blomkvist, is hired to solve a very old missing persons case. During the investigation, he befriends Lisbeth Salander, local computer hacker, and together they team up to solve the mystery. THE GIRL WITH THE DRAGON TATTOO will be released this Christmas starring Daniel Craig, Rooney Mara, and Stellan Skarsgard.